She graduated from the Japan Women’s University with a Masters Degree in Architecture before working for Toyo Ito architect office for several years. She launched her own practice in 1987 when she established Kazuyo Sejima & Associates. 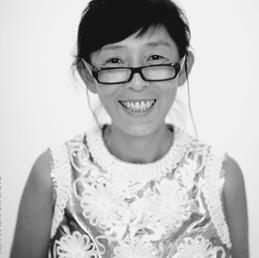 In 1992 she was named ‘Young architect of the year’ in Japan in 1992. In 1995, she established SANAA with Ryue NIshizawa. Sejima has been awarded many prizes such as the Prize of Architectural Institute of Japan, The Ministry of Education’s Art Encouragement Prize and the Pritzker Architecture Prize 2010. Her main projects include the 21st Century Museum of Contemporary Art Kanazawa, The Toledo Museum of Art Glass Pavilion, The Dior Omotesnado, the New Museum of Contemporary Art and the Rolex Learning Cetner (Ecole Polytechnique Federale de Lausanne). Currently, Lovre Lens project is under construction.